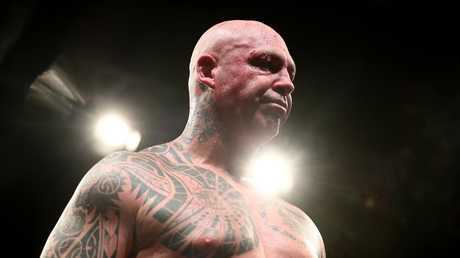 THE biggest all-Australian heavyweight fight in a century is a step closer after former world champion Lucas "Big Daddy" Browne bombed out giant American Julius Long in three rounds on the Gold Coast on Friday night. The 195cm, 115kg Perth power-puncher said he was now ready to fight former Logan truck driver Alex Leapai, who became the No.1 ranked world heavyweight contender in 2014 before falling to then world champ Wladimir Klitschko. Leapai's trainer, Noel Thornberry says he is willing to pay Browne the $60,000 purse he is demanding for the biggest all-Aussie heavyweight match-up since Richmond Aussie rules player Bill Lang stopped Narrabri's three-time world title challenger Bill Squires at Brisbane's old Olympic Stadium in 1911. 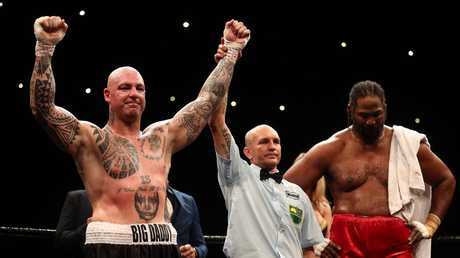 Browne, 39, the former WBA heavyweight champion scored win No.26 from 27 starts and his 23rd KO when he landed a massive right hand to drop the 216cm man mountain at the Gold Coast Convention Centre in Broadbeach. The victory came six rounds quicker than Browne's win over Long in Melbourne in 2015. Long had a point deducted in the second round for holding. ``Credit to Julius, he really came to fight. He's such a big awkward guy and he uses his advantages really well," said Browne. "I knew once I caught him the fight was over and it's always nice to get the stoppage. 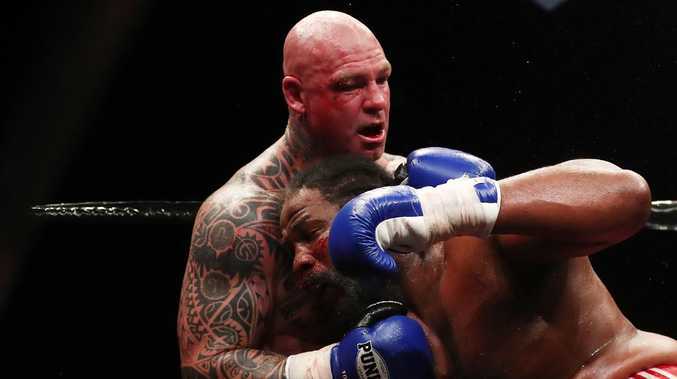 Browne is keen to continue his career in the lucrative British market, where the popularity of boxing is at an all-time high thanks largely to world champ and Olympic gold medallist Anthony Joshua. Friday night's win was Browne's first bout since his only loss, a sixth-round stoppage against Joshua opponent Dillian Whyte at London's O2 Arena in March. There is also talk about a fight with British prospect David Allen in the UK or with New York-based Pole Adam Kownacki.